Our State of the Art Local Monitoring Station has been protecting properties for more than 20 years. Their main focus is the monitoring aspect and not the selling and installing. 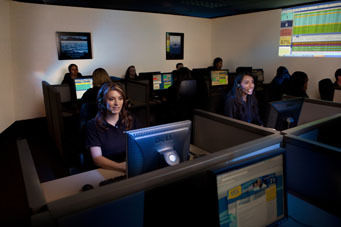 Try out our station and customer service anytime by calling 1-877-650-7221. You will be surprised that someone actually answers the phone instead of a recorder prompting you to press a bunch of buttons. In a real emergency, this makes all the difference.